One of my many hats that I wear is Assistant Publisher of Macaroni Kid-Lawrenceville. I recently got word that Macaroni Eats! 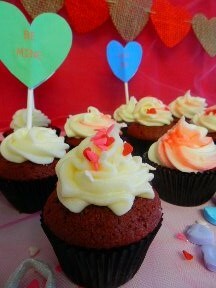 is having a contest for the best cupcake recipe the conveys love. I knew as soon as I seen it that I had to enter! 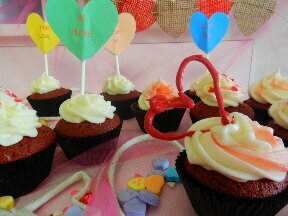 In light of Valentine’s Day, my cupcake of choice is Red Velvet! However, my friends and family ask me to make this for every occasion and holiday. Maybe because it’s TO DIE FOR! It’s quite possibly the best I’ve had! It’s moist, tasteful and along with the Cream Cheese icing, its AMAZING! 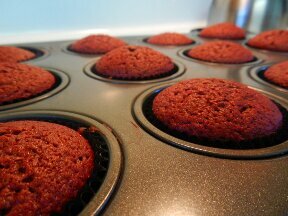 This recipe has been modified to make 12 cupcakes. Here’s a tidbit, don’t buy Cake Flour. You can make your own with All Purpose (AP) flour and corn starch. Cake flour is pretty expensive ,this is a much more reasonable way to produce the same effect while keeping a extra few bucks in your pocket. 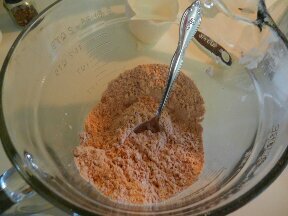 Add baking soda, un-sweetened cocoa powder and salt, mix together. Set aside. 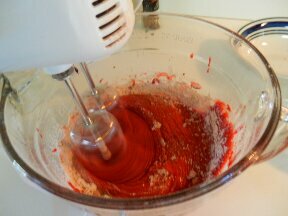 In another bowl, mix sugar and oil until blended. 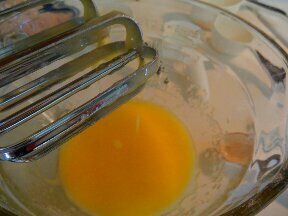 Add egg, mix until blended. 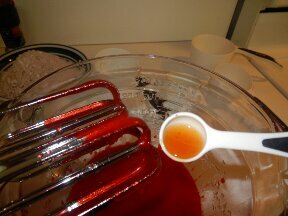 Add food coloring, white distilled vinegar and Vanilla Extract (I used my Bourbon Vanilla Extract). Alternate the dry ingredients and the buttermilk, ending with dry ingredients. Spoon into cupcake holders, about 3/4 full. Once cooled, decorate! I chose Cream Cheese icing, but you can use whatever tickles your fancy! I whipped up the cupcake toppers on Microsoft Word. I just used the heart shape and sized it to 2.33 x 2.43, changed color and added text. Cute and simple festive addition to your Valentine’s Day treat! 1. Preheat oven to 350. 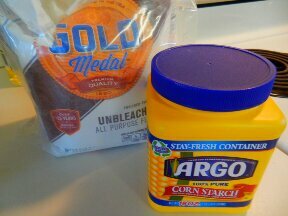 Mix together AP flour and corn starch. Add baking soda, salt, and cocoa powder. Set aside. 2. Mix sugar and oil until blended. 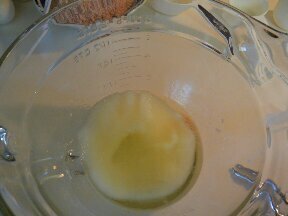 Add egg, mix until blended, but not over blended. 3. 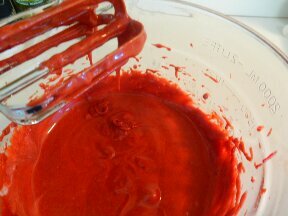 Mix in food coloring, distilled vinegar and Bourbon Vanilla Extract. 4. 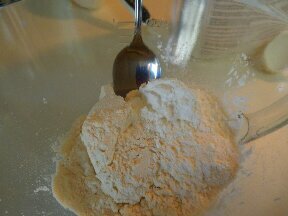 Alternate between flour and buttermilk, starting and ending with flour. Do not over mix. 5. 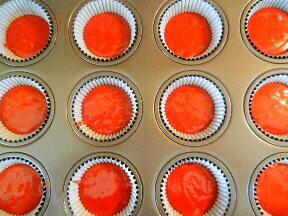 Distribute batter into cupcake holders 3/4 full. Bake for 20-25 minutes. 3. Add Vanilla Extract until blended. 4. Add milk if consistency is too stiff.